voilà ce que j'ai en magasin sur Primus au format guitar pro. Joel Mariette a écrit: voilà ce que j'ai en magasin sur Primus au format guitar pro. Pas mal de trucs sur Songsterr aussi. capable de passer sur 4, 5 ou 6 cordes fréttées ou fretless. Al'époque j'avais essayer de jouer american life mais là je pense qu'il faut 2 cerveaux !! Ou encore un live de son autre groupe les "Frog brigade" qui reprennent live intégralement l'album "Animals" de Pink Floyd, mon disque fétiche. Il est vrai que la musique de primus est très spéciale !! 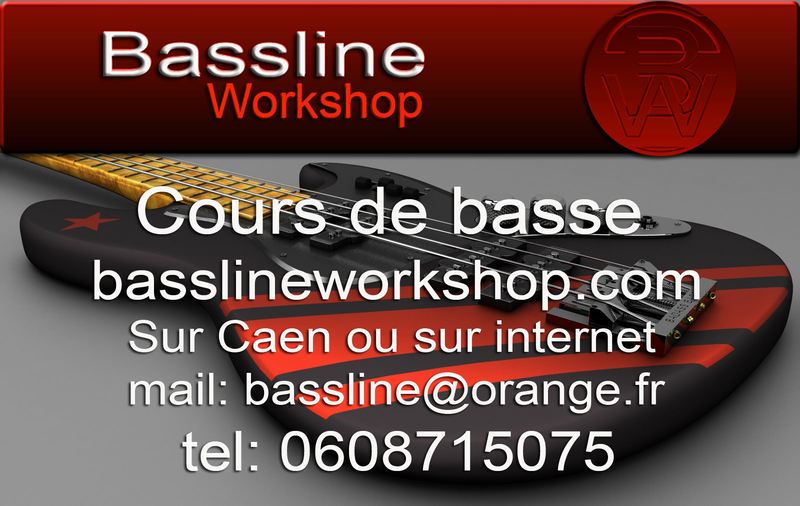 Basses : - Carl Thompson 4 et 6 cordes, frettées et fretless. • Carl Thompson 6 string fretless with EMG pickup. Nicknamed the Rainbow Bass, it is a 36" scale bass guitar. The body contains strips of walnut, curly maple, paduak, purple heart, ebony and cocobolo. The strings are threaded through the back of a rear extension (near the strap pin) and stretched over a one-piece, hand made wooden bridge anchored by Schaller tuning machines. The basic part of the neck is made of quartersawn hardrock maple. The serial number 2-5-91 (the day the bass was finished), was also Carl Thompson’s birthday. • Carl Thompson 4 string fretted. Also maple but without the tremelo. Used as a back up. • Carl Thompson 6 string fretted. Thompson claims it is the first fretless 6 string ever made. Carl added frets and sold it to Les. • 2 Fender Jazz 4 strings. Red one and cream one. • Kay acoustic upright which he bought for $300 in a pawn shop. Signed by Tom Waits and Screamin’ Jay Hawkins. • Eko (fiddle bass) copy of Beatle Hofner bass. Reassembled in the early 90s from parts from around1965. • Tune 6 string fretless which he used before acquiring the Carl Thompsons. • Dan Maloney 4 string fretted bass banjo. Dan is an old high school buddy of Les. • Dan Maloney electric standup. Actually made by Zeta Systems. • Rickenbacker 4001 (white), a gift from Alex Lifeson of Rush. • Five string Steinberger upright. Les prefers the sound of light gauge strings and has been known to use two A strings and two G strings tuned to E-A-D-G.
• Mesa Boogie "Powerhouse" cabinet (2) custom covered with brown glitter tuck and roll.